London serves up an annual calendar of amazing events including cultural celebrations, international sports events, street festivals and royal parades that make the capital a popular place for local and international visitors. More than 30 million tourists visited London in 2015, making it one of the world's most visited cities. Many of the events are also unique to London and unavailable in the UK or other countries. To help you make the most of your choices, travel plans and time your visit to London, here are the top free and ticketed events that you won't want to miss. What better way to start the year than with a New Year's Day Parade. This annual event brings together more than 8,000 dancers, acrobats, musicians and cheerleaders with over 500,000 spectators. It rivals the Chingay Parade in Singapore and is the biggest event of its kind in the world, with performers from the London boroughs as well as foreign countries. 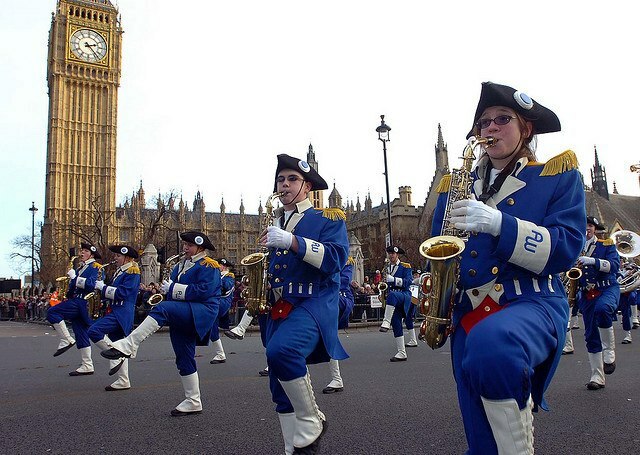 You and your family can enjoy a program of contemporary performances with traditional pomp and ceremony along Piccadilly Circus, Lower Regent Street, Waterloo Place, Pall Mall, Cockspur Street, Trafalgar Square, Whitehall and Parliament Square. Best of all, it's free. Don't miss this highlight of Central London's festive calendar. Visit the website for the detailed programme. Depending on the lunar calendar, the Chinese New Year may occur in January or February. Regardless of the month, it is one of the world's most celebrated festival. 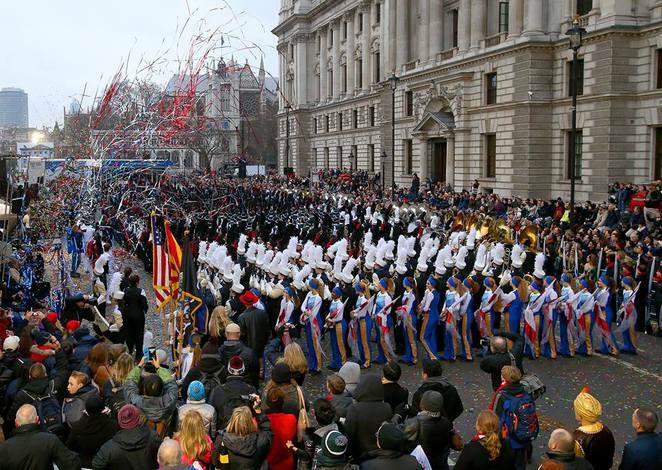 London is one of the top cities in the world to enjoy this festive occasion. It hosts the largest Chinese New Year celebration outside Asia, drawing annual crowds in the hundreds of thousands. Best of all, the festivities are free to attend. You and your family can watch the grand parade from Trafalgar Square to Chinatown. The West End will be abuzz with live music, cultural activities, food stalls, craft workshops and acrobatics. You can also find a traditional Chinese Wishing Tree on Glasshouse Street for making wishes. 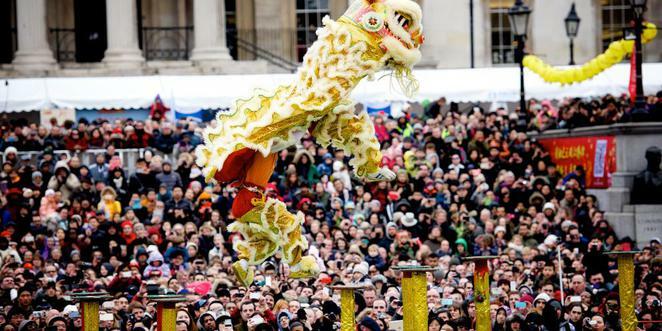 There are stage performances including martial arts, Chinese opera, dragon and lion dances and a fireworks grand finale in Trafalgar Square. Chinatown's many Chinese restaurants are ideal venues to sample a wide selection of Chinese regional dishes. Visit the website for the date and activities. 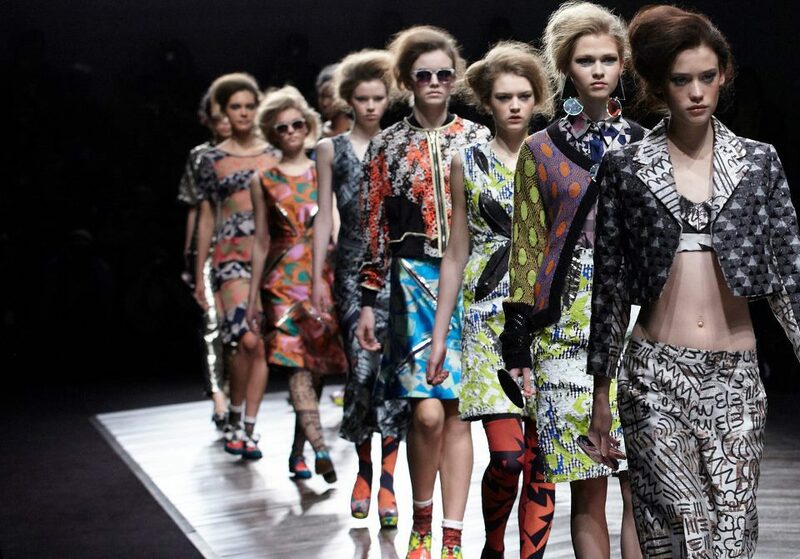 Don't fret if you can't get access to London Fashion Week. There's always the London Fashion Weekend. Specially organised for the public, this event serves up four days of fashionista indulgences from February to March. You'll be able to join the front row of runway shows where four of London's hottest designers present their Spring/Summer collections. Pamper yourself at the beauty and hair bars. There are educational panels and workshops from fashion industry heavy weights. You can't leave the Weekend without grabbing some great offers on designer clothing, accessories and jewellery from various pop-up fashion stores. Visit the website for programme details, venue and ticket packages. This annual international sport competition draws rugby fans from Europe and around the world. 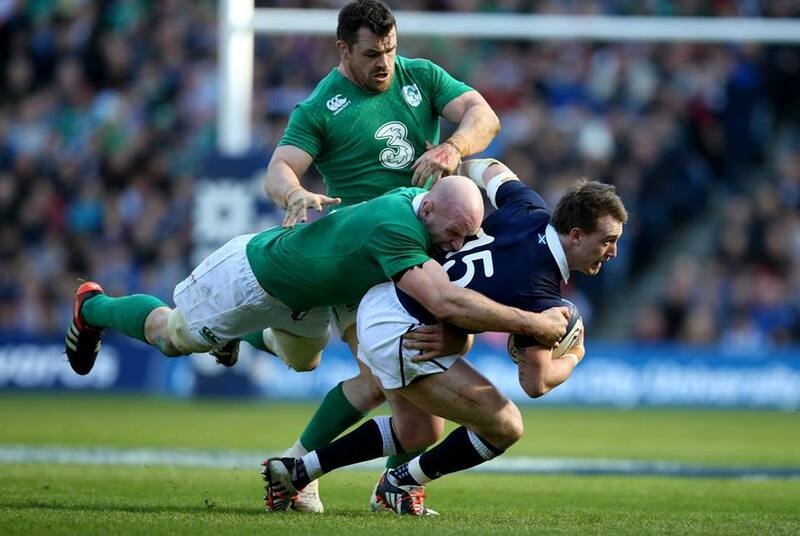 Held between February to March, the rugby union competition involves 6 European sides namely France, Italy, Ireland, Scotland, Wales and England. England has held most of the titles since the earliest games with only 2 teams in 1871. Matches in the UK are located at Twickenham, the largest dedicated rugby union venue in the world with a capacity of 82,000. Visit the website for details on matches, venue and tickets. 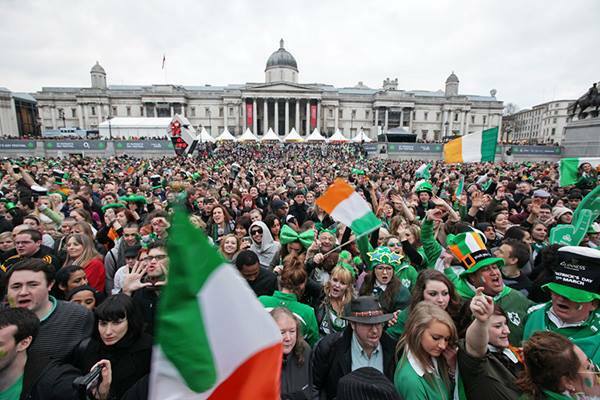 Organised by the Mayor of London, the annual St Patrick's Day Festival and Parade draws large crowds of locals and visitors to the heart of central London in mid-March. What started as a march of identity after the end of World War II has become a cultural celebration and one of the best social events in the city's calendar today. This free cultural event takes places between 12pm to 6pm in Trafalgar Square, which is transformed by music, dancing, craft and stalls. The Irish themed street foods and craft beers are always popular with the crowds craving for beef and Guinness pies, Irish classic pork Scotch eggs and Irish fried chicken sandwiches. There is also a St Patrick's Day Film Festival with screenings of Irish short films. The highlight is the colourful parade consisting of marching bands, pageantry, Irish sports clubs and community organisations. Visit the website for updates on the activities and date. The Cancer Research UK Boat Races is one of the world's oldest sports events dating back to 1829. 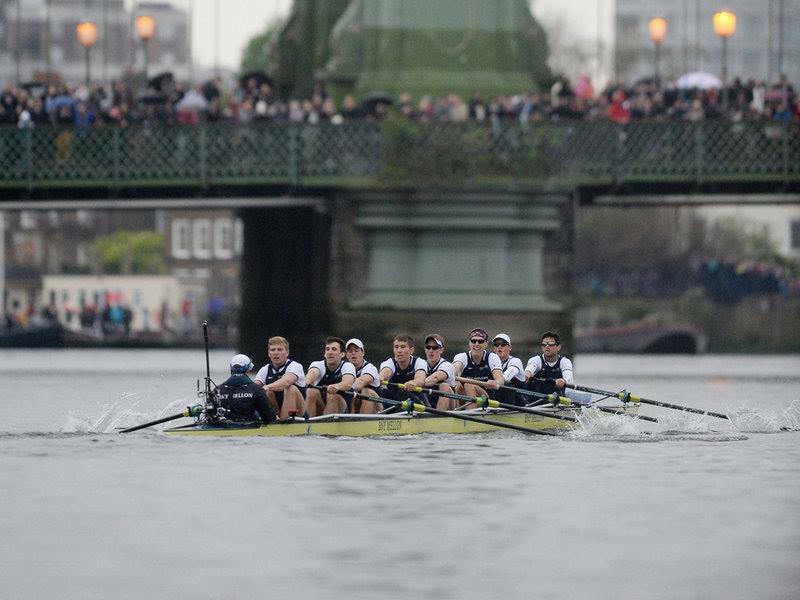 What started off as the Oxford and Cambridge Boat Race is now one of London's most popular annual events. 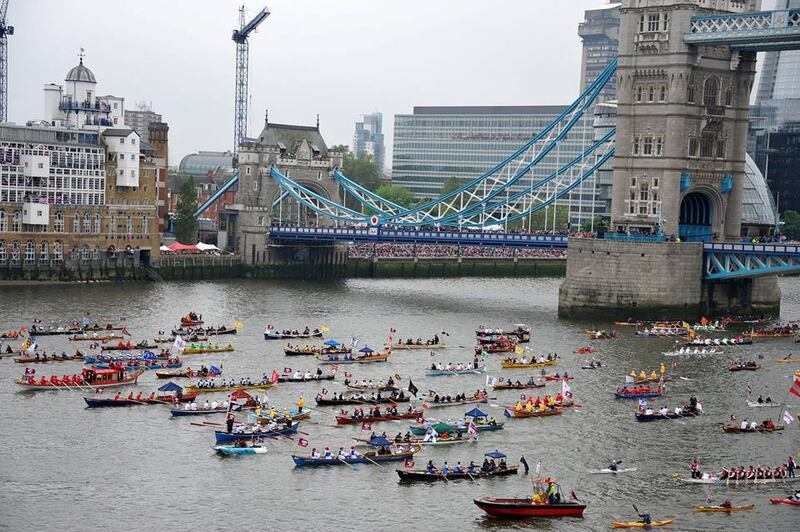 Thousands gather to watch teams battle for the championship title on the River Thames in West London between Putney and Mortlake near to Easter each year. Visit the website for racing news, dates and timetable. 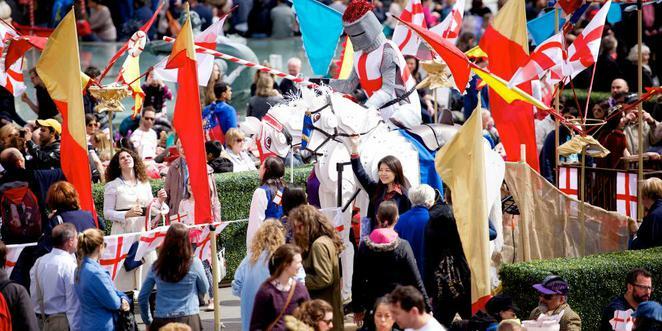 Organised by the Mayor of London, this free family event celebrates the patron saint of England. It started out as a national day of feasting back in the thirteenth century. You and your family can enjoy an afternoon of live music, indoor and outdoor games, medieval jousting tiltyard, English farmer's market and feast of English food in Trafalgar Square. Popular activities include cooking demonstrations and recipes from celebrity chefs and judges. There are also children craft and games including music, dance, poetry and falconry. Visit the website for dates and programme details. 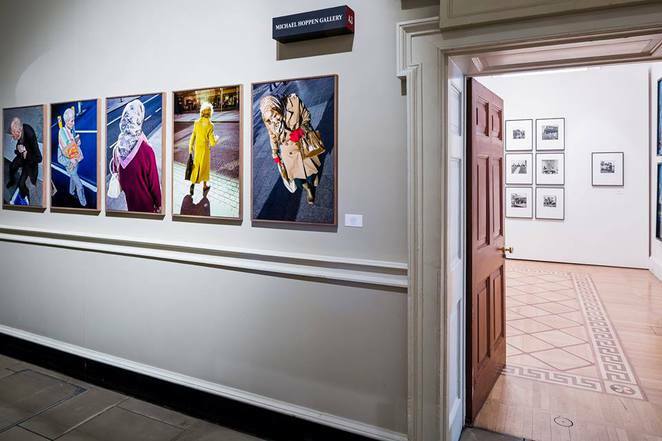 Photo London hopes to elevate the city's status as a global cultural capital with an international photography event that engages the public as well as photography enthusiasts. Held over four days, this major fair brings together 80 of the leading galleries from major cities around the world including New York, Beirut, Dubai and Tokyo. You can enjoy specially commissioned exhibitions of unusual, rare, vintage and contemporary works. There are events that marry photography with other art forms, book signings, talks and workshops in various galleries, museums and cultural institutions. Visit the website for dates, programme details, venues and tickets. 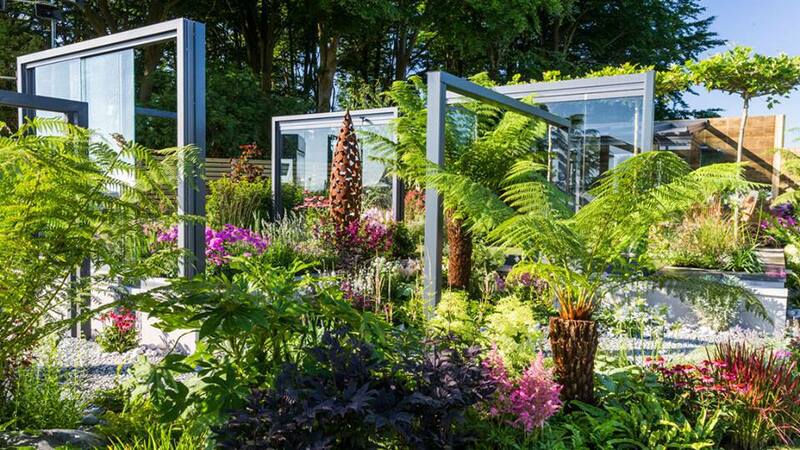 There are several leading garden shows around the world such as the Melbourne International Flower and Garden Show, Philadelphia Flower Show and Singapore Garden Festival but the RHS Chelsea Flower Show tops the lot. It is the world's most prestigious flowers show, attracting internationally-famed garden designers, plant specialists, florists and nurseries. The grounds of the Royal Hospital Chelsea are transformed into a massive horticultural display every year to welcome more than 150,000 visitors including members of the Royal Family. You and your family will be amazed by the most innovative garden designs and inspirational floral exhibits in all colours. You can also learn more about the gardening trends and rare flowers and plants, and browse the latest horticultural products on sale. Visit the website for dates, programme details and tickets. Tickets for the next Show usually go on sale in late autumn of the current year. They sell out quickly so make sure you purchase in advance. No other event allows you to enjoy more than 50 of London's most famous landmarks on a bicycle at night. 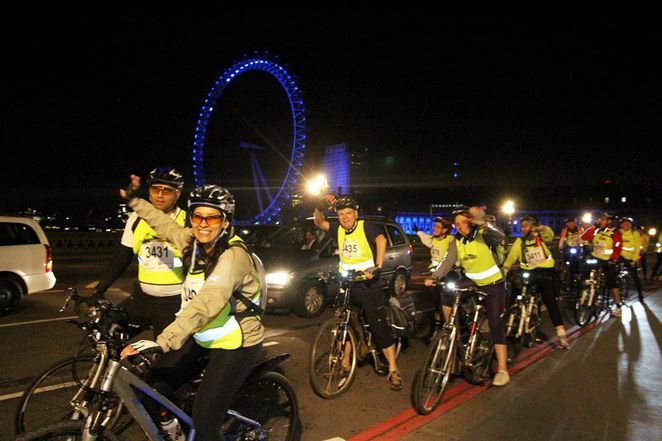 London Nightrider is a fully supported night time charity bike ride through the city. What started with 300 cyclists in 2010 has grown to over 17,000 participants today. With so many bicycles about at one time, you'll think you're in Amsterdam. You have the choice of a 50km or 100km route. The entire ride is on road and fully signed posted with medical and mechanical backup. It is not a timed event and offers regular break stops throughout the night with snacks, water and a breakfast and medal at the finish. Visit the website for more route and joining details. This event is uniquely UK and London. There is no other place in the world where troops from the Household Division honour the Queen's official birthday. This amazing traditional ceremony characterised by pageantry and military parade has been conducted in London for more than two centuries. It dates back to the accession of King George IV in 1820. 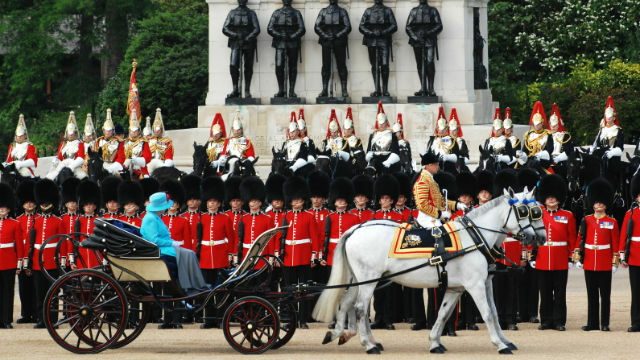 You and your family can view hundreds of military officers, horses and musicians from the Household Division, dressed in ceremonial uniform near London's St James's Park and watch the Royal Air Force fly-past. You can also catch a glimpse of the Queen as she carries out an inspection of her troops and leads them in the parade down The Mall to Buckingham Palace. Crowds start gathering along The Mall at 9am to watch the proceedings at 10am. You can apply to ballot for tickets to the seated stands in January or February each year. Visit the website for event details and how to apply for Trooping the Colour tickets. The Royal Ascot is one of the world's top horse-racing events, alongside the Dubai World Cup in Dubai, the Prix de l'Arc de Triomphe in France and the Melbourne Cup in Australia. In the UK, it is the most glamourous and fashionable event in the annual sporting calendar, steeped in tradition, heritage and pageantry. A trip to the races is a must for British high society, royal watchers, horse-racing enthusiasts and punters. In addition to fast horses and eye-catching fashion, one of the spectator highlights is the daily horse-drawn procession from Windsor Castle to Ascot Racecourse led by the royal carriage. The Queen personally attends the event and has owned many winning horses. Visit the website for racing details and tickets. Located in Regent's Park, this annual gastronomy event brings London's top restaurants and celebrity chefs together with the dining public over 5 summer days. What started as a small food festival in London in 2004 has grown into an international gourmet celebration in cities around the world including Sydney, Milan, Amsterdam, Dubai, Toronto and Hong Kong. Here in London, you can immerse your taste buds into this foodie wonderland with more than 200 food and beverage stalls. There are signature dishes from the capital's top restaurants and Michelin-starred eateries. 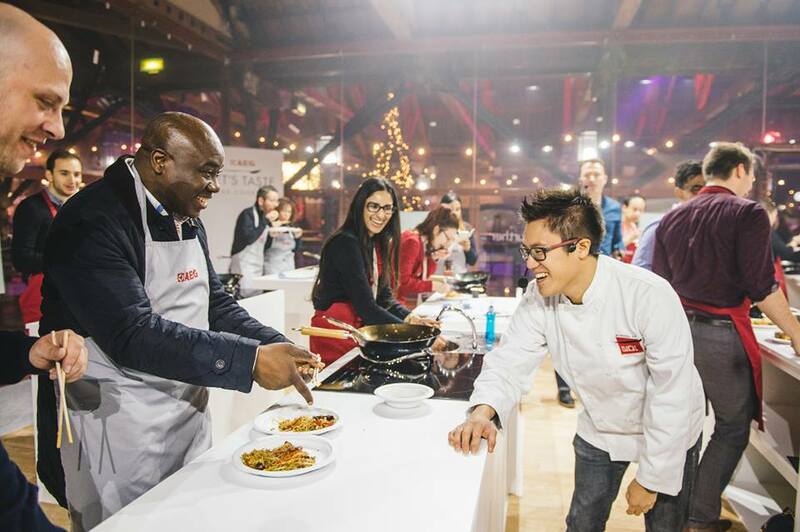 You can also attend masterclasses and watch live cooking demonstrations of popular dishes from leading chefs. Visit the website for updated information on this ultimate al fresco feast and participating restaurants. 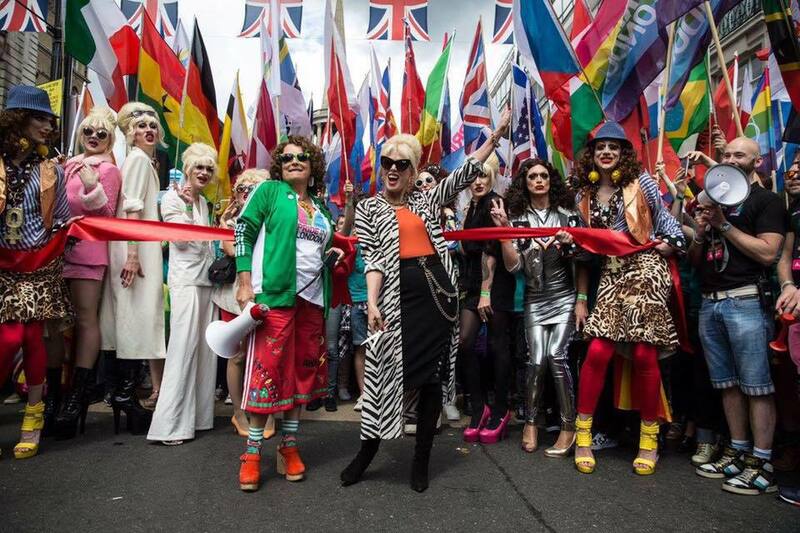 Taking place on a Saturday in June or July is London's largest LGBT (Lesbian, Gay, Bisexual, Transgender) community event, attracting more than a million visitors. It is also a global top lister alongside the pride festivals in the US, Netherlands, Brazil, Belgium and France. What started off as a LGBT community event has become an all-inclusive and free celebration of differences and people from all walks of life. You and your family can expect glitz, glitter, glamour and music filling the streets with more than 40,000 community representatives, dancers and performers participating in the parade. In addition to the colourful Pride in London parade weaving through Central London, there are also LGBT theatre and dance performances, art exhibitions, film screenings, talks and parties across the city. Visit the website for the date, parade route and programme of events. 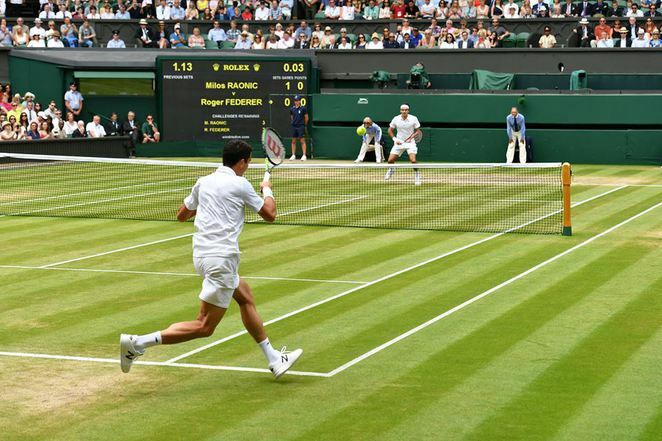 From late June to early July, tennis fever grips London as local and international visitors gather for what is considered the world's most prestigious tournament. It is one of four annual Grand Slam tennis tournaments held around the world and attracts players from more than 60 nations, 500,000 spectators and millions of television viewers. 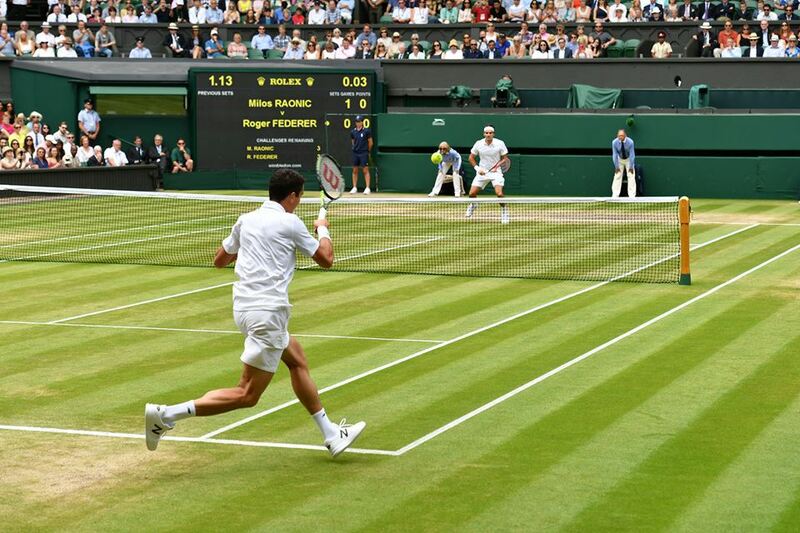 Dating back to 1877, Wimbledon is the only major still played on grass, which is the game's original surface. Other unique characteristics include the patronage of the Royal family, strict white-only dress code for players, eating lots of strawberries and cream and the absence of sponsor advertising around the courts. Also known as The Championships, it is the longest-running tennis tournament in the world. To grab tickets, you have to book in advance by entering the public ballot. A limited number of tickets are available on the day by queuing and each person is entitled to purchase only one ticket. Visit the website for more information on the dates, players, venue and tickets. You and your family can enjoy British summer with this massive 10-day event hosted in London's Hyde park. The British Summer Time Hyde Park combines film screenings, comedy acts and sports with weekends of live music. Some of the headline performers included Stevie Wonder, Take That, Carole King and Massive Attack. There are also themed pubs, cocktail bars, cafes, bistros and food stalls to feed the crowd. So make the most of the summer with this music festival extravaganza. Visit the website for programme details and tickets. Early July serves up six days of horticultural sights at the world's largest flower show organised by the Royal Horticultural Society (RHS). 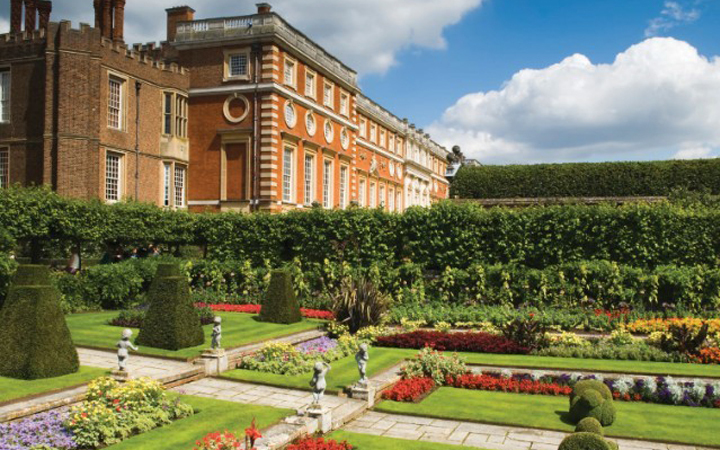 Located on the grounds of historic Hampton Court Palace, the RHS Hampton Court Palace Flower Show is in the global top list with the RHS Chelsea Flower Show, Melbourne International Flower and Garden Show, Philadelphia Flower Show and Singapore Garden Festival. It attracts around 130,000 visitors every year, eager to view the best garden designs and floral exhibits by the heavy hitters of the landscaping world. There are demonstrations by celebrity gardeners, tips and techniques to pick up and the latest garden supplies on sale. Tickets go on public sale in early October each year so visit the website for programme details and tickets. 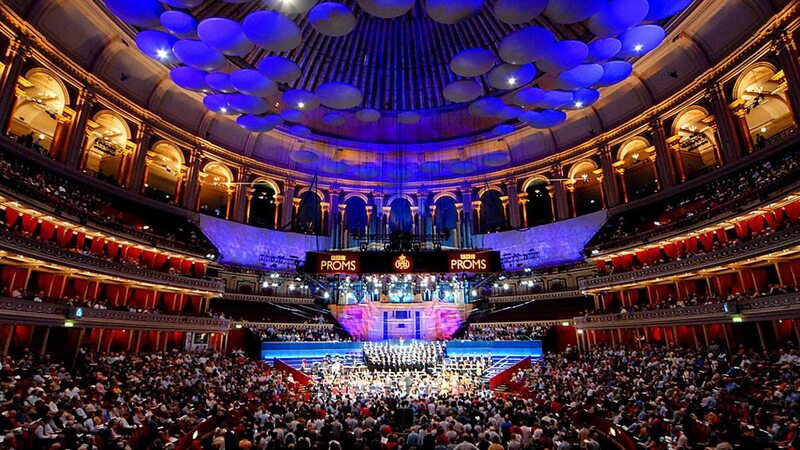 The world's largest classical music festival takes over London for 2 months every July to September. During this period, the Royal Albert Hall and venues across London will serve up a massive selection of affordable concerts for the public. You and your family can enjoy performances of classical favourites to world premieres of contemporary music by orchestras, musicians, soloists and singers. There are also children events and weekend matinee family concerts. The most popular are the Last Night performances. Visit the website for the detailed programme, venues and tickets. If you love cycling, then you'll want to be in London for the world's greatest cycling festival in July. RideLondon serves up seven events over three days that are free to watch. The Brompton World Championship involves 500 cyclists racing on a Central London circuit. 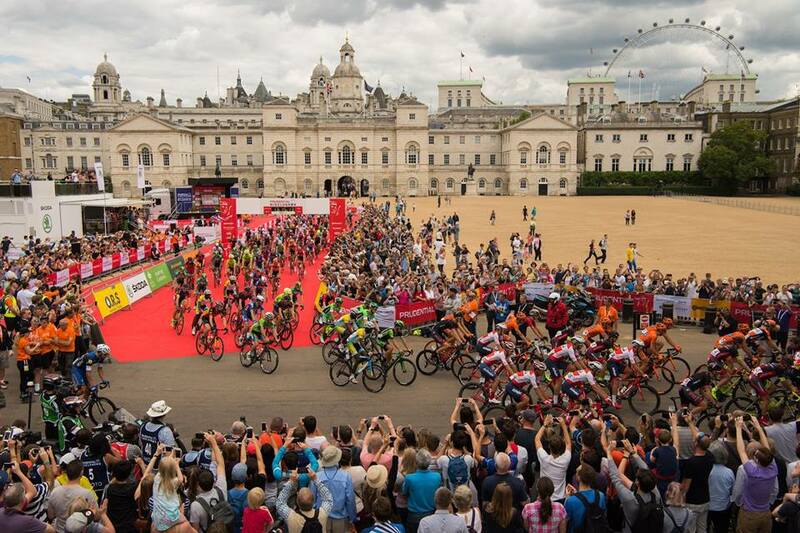 The RideLondon-Surrey Classic features 150 of the world's top professional cyclists from 25 teams taking on the 200km route while the top women cyclists compete on a Central London circuit as part of the Women's UCI World Tour in the RideLondon Classique. Amateur cyclists will take on a 100-mile route from London into Surrey's countryside in the RideLondon-Surrey 100, and newer and younger cyclists can attempt the Ride London- Surrey 46. The Prudential RideLondon Elite Handcycle Grand Prix features some of the world's best handcyclists. Britain's next generation of top cyclists are showcased in the Prudential RideLondon Youths Grand Prix. There's even a Handcycle Grand Prix for injured veteran servicemen and women. If you're keen to join in the cycling fun, thee's RideLondon FreeCycle. You'll ride on traffic-free roads in Central London, past many of the capital's world-famous landmarks. Visit the website for dates and racing details. Head over to West London on the last weekend of August and the streets will come alive with Caribbean music, flavours and colours. Taking place on the Sunday and Monday of the UK summer bank holiday weekend, the Notting Hill Carnival started as an offshoot of the Trinidad Carnival in 1964. 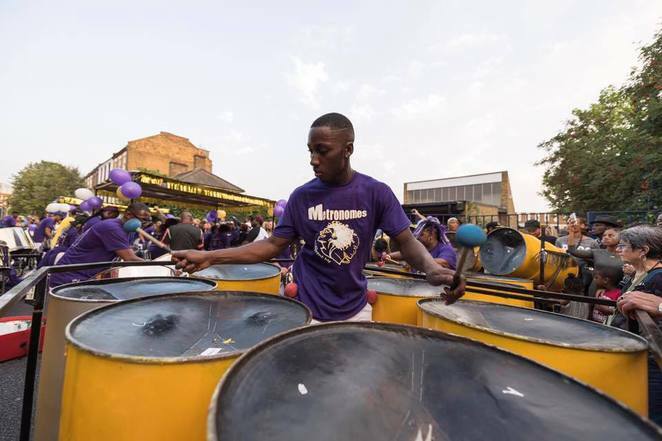 Today, the small celebration of Caribbean culture and traditions in London has grown into London's biggest street party, attracting more than a million people over the carnival weekend. It is also the largest street festival in Europe. You and your family can enjoy the free festivities including the street parades with some 50,000 costumed performers, elaborate floats, steel bands and mobile sound systems. Visit the website to see what time the festival starts and what's on each day. Running for the entire month of September, the Totally Thames festival is a 30-day sports and cultural program along a 42-mile stretch of the famous river. You and your family can enjoy the world's largest celebration of the river through more than 150 events including river races, regattas, art exhibitions, photographic projections, performances, below-river concerts and even archaeological tours of the river's surroundings. You can also explore the rich maritime and social history of the area through film, music, song, dance and art. Popular activities include the majestic tall ships cruising on the river around Greenwich, the Great River Race of traditional boats from Millwall to Ham and the Thames River Swim. Visit the website for the full programme and ticket information. There's no better way to celebrate 31 December and herald in the new year than with a New Year's Eve fireworks. One of the best places to take in the fireworks display is in London. It is also one of the most televised events around the world alongside cities like New York, Dubai, Paris, Hong Kong and Sydney. You and your family can secure your viewing spot to watch UK's largest annual fireworks display at the London Eye by purchasing tickets in advance. Visit the website for more details on the London fireworks tickets and locations for watching.